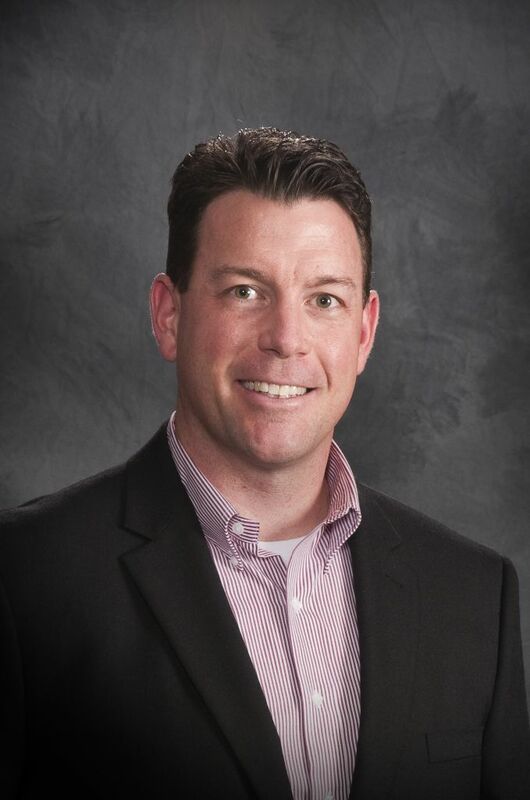 Born and raised in Nesconset, NY, Dr. Arnold graduated from Smithtown High School in 1995 and attended Penn State University on a baseball scholarship. 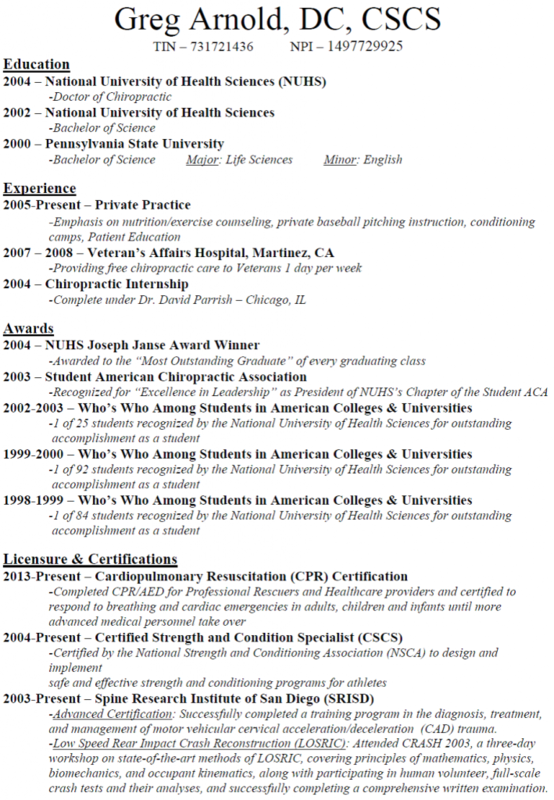 He then earned his Doctor of Chiropractic degree from The National University of Health Sciences in 2004. Moving to California, Dr. Arnold opened his practice in January 2005 in Blackhawk Medical Center and spent 7 wonderful years there before moving back to Nesconset in December 2011. 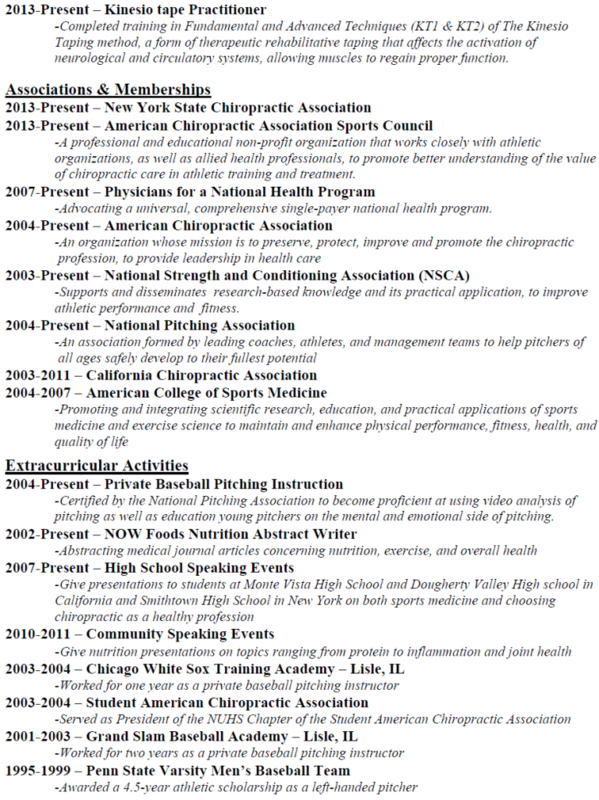 Dr. Arnold's unique combination of chiropractic, baseball, nutrition, and conditioning resulted in a spotlight in the Contra Costa Times in 2007. Dr. Arnold provided free chiropractic care to veterans at the Martinez, CA, Veteran's Administration Clinic in 2007 that resulted in the clinic hiring a chiropractor full-time to provide care to the veterans. Click here to read the letter from the VA Clinic Director. You can learn more about Dr. Arnold below or you can click here to get a .pdf version of his curriculum vitae.